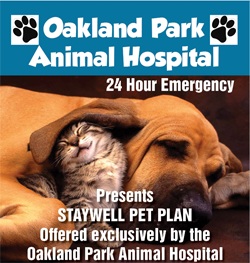 Here at Oakland Park Animal Hospital, we offer veterinary care and treatment for pocket pets and exotic pets. If your pet appears to be in distress with a medical emergency, bring him or her to us for a full examination. What types of pocket pets do you treat at your animal hospital? We offer standard and emergency care for all types of pocket pets, including hamsters, gerbils, rabbits, mice, rats, guinea pigs, hedgehogs and chinchillas. If you suspect your small pet is sick or in need of medical care, do not hesitate to bring them into our veterinary hospital for a full examination and course of treatment. 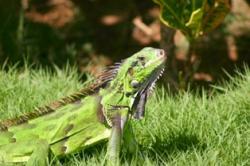 Do you offer veterinary care for lizards and birds? We offer veterinary care and habitat advice for birds and reptiles, and our care is focused on the particular breed of your bird or lizard. We can even give you advice on what types of food, bedding, toys and heat lamps to purchase to ensure your pet’s health. What emergency services do you offer for pocket pets and exotic pets? We offer emergency services for pocket pets and exotic pets that are exhibiting symptoms of illness. Common signs of illness include lethargy, lack of appetite and skin sores or wounds. Treatment options for exotic pets and pockets pets has advanced, and there are many treatment options available to cure your pet’s ailment or infection. I think my bird might have a cold. What should I do? Birds are susceptible to colds and feather mites, and both ailments can appear similar in symptoms. If your bird appears to have a runny nose and frequently ruffled feathers, you should bring him or her into our veterinary hospital for an examination. My rabbit appears to be sick. Can you treat him? Rabbits are prone to hairballs and intestinal blockages. We have medications that you can give your rabbit to prevent intestinal blockages and hairballs, and we can give you tips and advice on how to comb your rabbits hair to limit hair ingestion. Your rabbit may also be having an allergic reaction. Most rabbits do not do well with cedar or pine bedding. The smells given off by these two woods can cause respiratory problems in rabbits. What other signs of illness should I watch for in my exotic pets? If your exotic pets are showing signs of respiratory distress, bald patches or hair or feather loss, diarrhea or runny eyes and nose, you should bring your pets to us for a full physical examination and course of treatment. Do I have to schedule an appointment if my pocket pet is experiencing an emergency? We take emergency walk-ins. 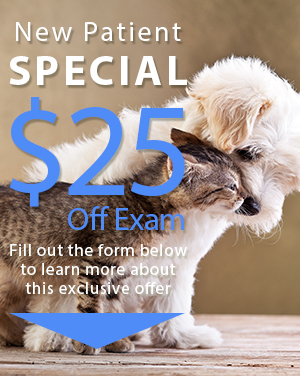 You do not have to schedule an appointment to get your sick pet seen at our veterinary hospital. If you want to call our office ahead of time, our phone number is 945-644-7181. We are located at 2200 West Oakland Park Blvd in Oakland Park.